You are here: Home / Ent. / So About Terry Crews. 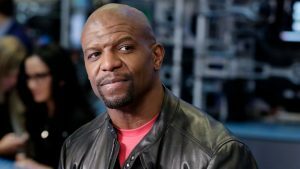 (ThyBlackMan.com) Currently, there’s this thing going on with Terry Crews and other Black men on Twitter about Crews’ sexual assault allegation. It’s troubling see because Crews is being blamed for “not doing enough” to stop the assault. Remember, in October 2017, Crews came forward about an incident of groping by talent agency WME department head Adam Venit. Ultimately, Venit got a slap on the wrist—a mild demotion—when an internal investigation was performed and WME found it was an “isolated incident.” When Crews took the issue to court it was thrown out. Venit would later re-sign from the agency. His account came as part of the #MeToo movement, originally started by Tarana Burke in 2006 as a means to raise awareness of sexual assault and support for women of color. In 2017, #MeToo was adopted as a rallying call while targeting predators with power in different industries. The industry where it got the most steam was film and TV and Terry Crews was among the first to come forward with his story. Yes, that is an actual quote uttered by a human being in the year 2018. Crews recollects that he was groped by Venit but would stop him. Before going forward, Terry Crews, a former professional football player for six year, is built like he could’ve powerbombed anyone who thought about touching him and left their soul contemplating life decisions. These are facts, no one can dispute that much. Is that in Crews’ nature? Would people in the industry have said “Good on you, Terry”? Let’s say Terry had gotten sued and put in jail for retaliation. Would those in the industry and out of it covered the money he would’ve lost because if he had “slapped the sh** outa him?” Would they have gotten him work at the level he was at if he attacked his assaulted? Of course, some would say “Why should he care about what Hollywood thinks?” That’s his bread and butter. It’s how he supports himself and his family. He’s formed many professional relationships in Hollywood. In equal measure, it could be asked why should he care what some schmucks, scrubs and scallywags think about him choosing to push Venit away instead of knocking a decade and a half off the man’s life. The TV shows, films, music video appearances, voice acting, game show hosting—on network television—that would’ve been reduced. Why? Because he’s a big, Black man and as a big, Black man myself—we appear bigger and Blacker when we resist. The narrative can be changed easily for a smaller person, especially if they’re white. Personally, I’m surprised this wasn’t escalated into Crews being aggressive for homophobic for forcibly stopping the groping. Terry Crews is a 50-year old man in an industry that is a little over a century old. This isn’t a kid in elementary where it’s expected that hits are going to be passed. He handled this professionally, the agency lost a big star and the attacker stepped down from his position. Not only all of that, there is further awareness that this happens in Hollywood and it can happen to men. Just because we’re men doesn’t mean we’re immune to the same behavior that women have been subjected to on a regular basis for a long time. We don’t have to hit everything in traumatic situations just to be able to say “I’m a man!” and get the knuckle draggers to claps for us. While some degree of solidarity is nice, solidarity and kudos don’t result in you being able to do the work you love after you’ve been blacklisted. It’s easy to say how one would’ve handled it or that they would’ve knocked someone out for doing this. As a matter of fact, it would’ve been easy for me to say that I would’ve popped the predator if I were Crews. The thing is, I’m not Terry Crews. I’m not in his position professionally and I don’t have the same things to lose as him. At most I’d get some degree of assault and a record. For Crews, he could get a record and his career could be derailed. Studios would have to either work around him or write him out entirely. Crews would be a liability for any studio and that’s in addition to him being painted as just aggressive. He would’ve gone from network television and to deep premium cable package channels and straight-to-DVD releases in gas stations. His career could’ve been sunk easily. It’s happened to women in the industry and others for years. Of course, they had to keep on keeping on just to keep a career in the industry. The support wasn’t there like it is now. All the things one in the dark are coming to light. This is an opportunity to learn and show support, especially from the brothers.